Posted August 15, 2017 by Arthur Harris & filed under Company News. Stainless steel can be finished using a variety of techniques. When talking about brushed stainless steel and satin stainless steel, these two finishes have a lot in common, and many consumers use the terms synonymously. This leads to a lot of confusion when making a finish selection. Let’s examine the similarities, differences, pros and cons of choosing brushed vs satin finish stainless steel. Brushed metal has a dull polish and is made through friction. The metal is polished with a fine bristle brush on a belt or wheel that moves in the same direction the whole time, then softened with a greaseless compound or a medium non-woven abrasive belt or pad. This leaves a dull, matte sheen on the steel. Although it loses its ability to reflect light, the steel retains some its lustre and gains very fine lines in the direction of the brushing. It is a distinctive look that is often chosen for decorative items. There are differing opinions on what a satin finish looks like on stainless steel. To some, satin is the same as a brushed finish. To others, it means a translucent, frosted,“milky” look. Satin finishes can be obtained with metal brushing, or they can be scratched with sandpaper or other abrasive material rather than with a metal brush. A brushing technique results in a long stroke pattern. Sandblasting will provide a randomized look with no discernible pattern. 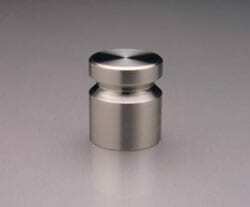 Many satin finishes end with a polishing step to infuse the stainless steel with an elegant shine. Both brushed and satin finish stainless steel are exceptional performers when it comes to hiding fingerprints. They have a warmer tone than unfinished stainless steel, which is helpful for disguising blemishes. This makes them a good choice for appliances, cabinet hardware and other high-traffic areas in home decor. However, a brushed finish is slightly more susceptible to corrosion. The brushed texture can accumulate moisture within the grooves and limits the ability of fluid to bead on the material surface. For this reason, a polished satin finish is a wise choice for something like a kitchen sink or cabinet hardware. Whatever your design preference, the key is consistency. Most people prefer to maintain the same finish for every fixture in a room rather than mixing and matching. So if your bathroom lighting is a satin finish stainless steel, choose the same for your faucet handles and vanity knobs.